Access to water is the driving force behind the surge in foreign investment in farmland. Yet, with all the focus on “land grabbing” and food security, water issues have received little attention. Although essential to life, water resources tend to be taken for granted until they are strained or completely depleted. They may seem abundant, but in fact less than 3 per cent of all available water resources are suitable for human consumption or other uses. Of that, over 70 per cent is used in agriculture. Being interconnected and in constant motion, water resources are particularly vulnerable to the impacts of farmland investment. The amount of water extracted for farmland investments and the quantity and nature of the chemicals from pesticides and fertilizers directly impact the water resources available for other users. Africa is the primary recipient of farmland investments and has been promoted internationally as having vast untapped water resources, but a significant number of Africans already live in water-stressed environments. Population growth, climate change and land use change are predicted to drastically increase that number. Farmland investments—and the large-scale commercial farming they entail—require vast amounts of water and further exacerbate this strain on water resources. So far, international investment law and the rights of investors have started to receive some attention in this context. However, the location of the investments near international river basins and their sustained water use also trigger obligations under international freshwater law, environmental law and human rights law. Furthermore, these regimes implicate a wider range of stakeholders, including local communities and other riparian states. It is therefore vital to understand all applicable legal regimes and the rights of all stakeholders. The most significant impact of climate change is on water resources, and Africa is the most vulnerable to this process. The effects of climate change are not just risks: they are already being experienced in parts of Africa, with lake levels declining in various places due to the combined effects of drought, warming and human activities. Climate change is predicted to cause increased frequency and risk of floods and droughts, and some studies suggest a significant decrease in suitable rain-fed agricultural land. Arid and semi-arid land could increase by 5 to 8 per cent in Africa, that is, 60 to 90 million hectares. Irrigation is therefore seen as a necessary adaptive response, and host states see foreign investment as a chance to develop it. But if irrigation is simply increased, the overall water use will be increased, depriving downstream areas of water. Studies suggest that putting all farmland leased to foreign investors into irrigated production would be “hydrological suicide,” because the amount of water that would be required is more than what is available, particularly in the Nile River Basin. Although these fears may be exaggerated, farmland investments will certainly increase water consumption significantly in the region. Large-scale farming impacts both water quantity and quality, given the necessary water to maintain commercial production and the sustained use of pesticides and fertilizers. The impact of these investments on water resources has yet to be evaluated; studies have revealed an almost total lack of monitoring of their water use. Moreover, studies have revealed that the crops these investments produce are exported to the investor’s home state or destined for high-end urban consumers and are not accessible by the most vulnerable populations in need. The investments therefore do little to address food security concerns in the host state, hardly offsetting the extra strain on water resources. Several legal regimes were developed to suit different objectives: investment protection, sustainable management of water resources, the environment more generally, or human rights. In the context of farmland investments and their water use, these interests converge and potentially clash. In addition to the increasing pressures on water resources, an imbalance in the legal framework governing farmland investments and water rights exists at both domestic and international levels, as discussed below. In most African states, water belongs to the public domain; rights to use water can be either exercised by the state or local authority or granted to private individuals and corporations according to domestic law. Although constitutional arrangements governing water resources vary across Africa, certain common elements are revealed, based on whether the legal system developed out of the common law or the civil law tradition, and due to formal and informal rights resulting from the prevailing role of custom in Africa. Most local communities hold their land and water rights under customary law. Customary law is the most known and respected source of law by most host state populations, but it places local users at a disadvantage when compared to foreign investors who obtain statutory rights from contracts with the host state. Under most domestic legal systems, customary law and rights are recognized, but cannot apply over areas covered by written law or rights. Foreign investors’ statutory written rights will therefore prevail over the customary unwritten rights of local communities in the event of conflict over water or land resources. Further, in states that have adequate water legislation and administration, local usages and customs are left unwritten and unrecorded for the most part, since they mostly apply to minor water utilizations and in cases where the written law does not cover the specific issue at hand. Local communities are thus legally vulnerable even where an administrative framework is in place to govern water resources. Moreover, most formal land and water management systems are poorly implemented and therefore have little effect. Many agricultural investment contracts between investors and host states do not expressly mention or deal with water or provide for any fees or revision of allocation. Host states may not realize that, when granting foreign investors the right to operate and maintain an agricultural investment, they also grant the necessary water rights to sustain that production, even where water is not mentioned in the contract. Furthermore, far-reaching stabilization clauses prevalent in contracts throughout Africa frustrate the development of regulatory frameworks for sustainable water resource management. If not drafted carefully, these contracts disproportionately strengthen the position of foreign investors. Nonetheless, the contract between the investor and the host state could and should be used to expressly limit the water use of farmland investments. It is a golden opportunity to set a fee to incentivize limited water use and to recognize the value of water. It should also provide for the right to revise those rights and fees in the event of water shortage. International investment treaties further strengthen the position of foreign investors by providing additional legal guarantees and safeguards to their rights. In times of drought and water shortages, ensuring that basic needs for water are met while maintaining water flows for sustaining river systems and biodiversity—critical for long-term sustainability of the host state—can conflict with the water needs of the farmland investments. Standard provisions in international investment treaties—like the fair and equitable treatment standard, most notably, and the prohibition against expropriation without compensation—may limit the host state’s ability to reallocate water resources. In particular, foreign investors may form a legitimate expectation for the necessary water access to maintain an agricultural production if the contract does not expressly limit water use or provide for periodic review of water allocation or access. 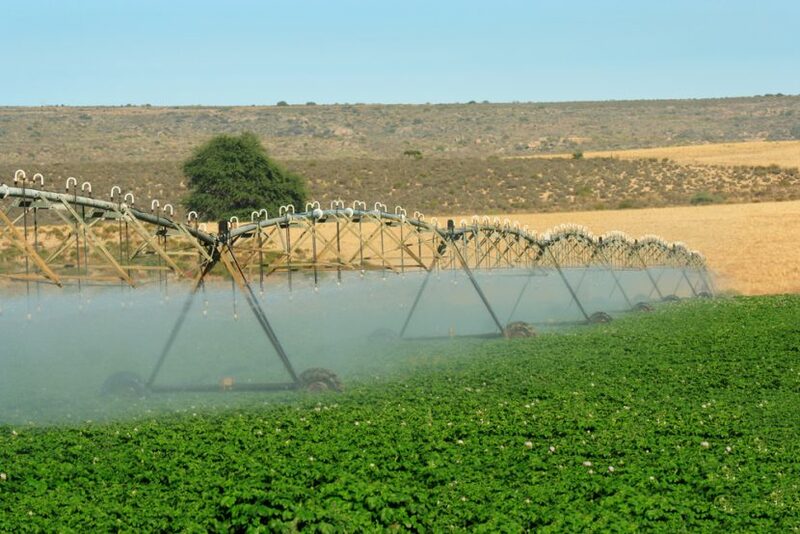 There could also be claims of expropriation if host states reallocate water resources and encroach upon the foreign investor’s right to operate the business of commercial agricultural production. The other international legal regimes described below provide considerations to counter these claims and justify any interference with foreign investor’s water use. International freshwater law requires host states to respect and not to cause harm to the reasonable and equitable share of other state users, to ensure that priority water use goes to vital human needs, to notify and consult other states when a farmland investment is planned near a watercourse, and to protect and preserve water resources against pollution and overexploitation. Given the location of most farmland investments on or around international watercourses, the principles and mechanisms of the 1997 Convention on the Law of the Non-Navigational Uses of International Watercourses (the Watercourses Convention) apply to the water use of farmland investments and should be consulted when issues arise. In most of Africa, the implementation of the Watercourses Convention has been tailored to meet specific regional and sub-regional needs. Most international watercourses in Africa are governed by their own joint institutional management scheme at the sub-regional level, a regional policy for sustainable water management and the international scheme provided by the Watercourses Convention. For example, the Southern African Development Community (SADC) has developed and effectively implemented a regional institutional framework for the sustainable management of river and lake basins in line with the Watercourses Convention principles. Where no regional mechanisms are in place, the Watercourses Convention provides the fall-back situation. Where the state concerned is not a party to the Watercourses Convention, international environmental law provides general obligations. The International Court of Justice has recognized the duty in customary international law to conduct a transboundary environmental impact assessment if an activity is likely to result in transboundary harm, particularly on shared water resources. The obligation applies to all states and all international water resources, not just those covered by the Watercourses Convention. This assessment should call attention to the water use of farmland investments and reveal their impact on transboundary waters. Unfortunately, it does not seem that any of these obligations has been implemented and enforced at the domestic level in Africa; they have therefore had little impact. Numerous human rights instruments recognize the human right to water either expressly or implicitly as a fundamental prerequisite to the enjoyment of all other rights. The UN General Assembly has recently recognized the right to water as universally binding, and the UN Human Rights Council has called on states to pay particular attention to vulnerable groups in ensuring it is guaranteed. Accordingly, host states must ensure that the water use of farmland investments does not interfere with the vulnerable water rights of local communities, regardless of the applicable investment treaty. The principles and obligations under international freshwater, environmental and human rights law may be used as justifications or defence to claims by foreign investors in the event host states must reallocate water in the public interest. These international regimes therefore serve to counter the extensive rights and legally secured position of foreign investors under the contract and the applicable investment treaty. However, to have any impact, these regimes must be implemented and enforced, which does not seem to have yet occurred. Consequently, the first step is to implement and enforce these regimes at the domestic level. Furthermore, existing legal mechanisms for the sustainable management of water resources should be implemented in domestic law. Water governance schemes should also be reformed to allow for increased stakeholder participation in water management decisions and to incorporate principles of integrated water resources management, giving effect to the link between water and land in the administrative framework. Before contracting with foreign investors, host states must carefully consider their wide-ranging international obligations, particularly the duties to notify and consult other states if the investment is located near transboundary water or an international border, and to conduct an environmental impact assessment expressly considering water use. Their contracts with investors should include specific provisions on water rights, use and fees that clearly provide for periodic revision of water allocation and rights, particularly due to environmental and human rights concerns. They should also include safeguard clauses to the effect that nothing in the contract shall impede or frustrate the implementation of host state obligations under freshwater, environmental and human rights law, to strengthen the host states’ ability to reallocate water resources and undercut investor claims. Finally, international investment treaties should include similar provisions, to ensure coherence between the investment regime and the other applicable international regimes and to preserve the host states’ right and duty to manage water resources sustainably. Makane Moïse Mbengue is Associate Professor of International Law at the University of Geneva and a Visiting Professor at Sciences Po Paris. He acts as expert for numerous international organizations and non-governmental organizations and as counsel in disputes before international courts and tribunals. Susanna Waltman is a Ph.D. candidate at the University of Geneva currently working in the legal office of the United Nations High Commissioner for Refugees. She previously obtained an LL.M. degree in International Dispute Settlement in a joint program of the Graduate Institute of Development Studies and the University of Geneva. Fisher, D. (2009). The law and governance of water resources: The challenge of sustainability. Cheltenham Glos, United Kingdom: Edward Elgar Publishing. Pulp Mills on the River Uruguay (Argentina v. Uruguay), Judgment, I.C.J. Reports 2010 (I), p. 83, para. 204. For a comprehensive list of the dozens of instruments that include access to water as a human right, see Viñuales, J. E. (2009). Access to water in foreign investment disputes. Georgetown International Environmental Law Review, 21(4). Next article Next article: The Brazilian Agreement on Cooperation and Facilitation of Investments (ACFI): A New Formula for International Investment Agreements?